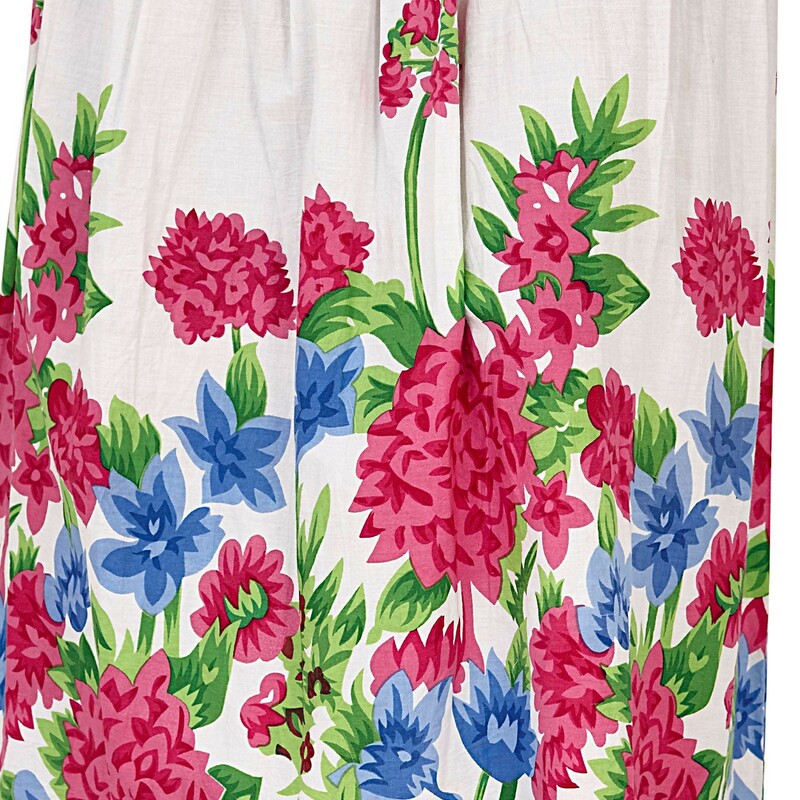 Ladies 3 in 1 dress with bold floral print in white/pink. 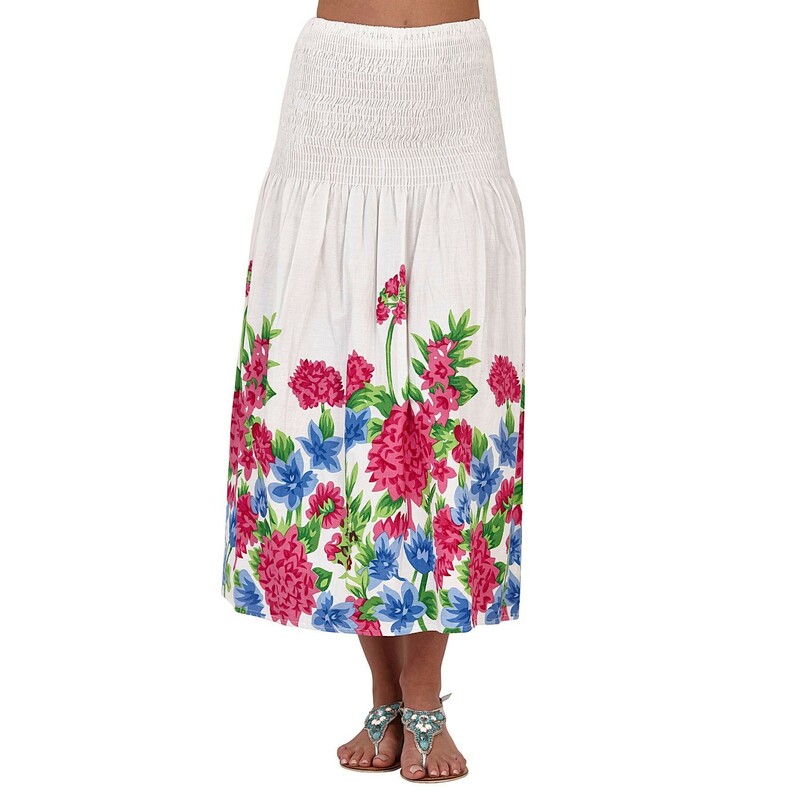 It can be worn strapless, with bandeau neck fastening or as a maxi skirt. Approximately 36 inches in length, excluding neck tie.